Located in the bustling town centre of Hermanus, Zzzone enjoys a prominent position close to a number of vibrant restaurants and bars and exciting activity pick-up points. Designed with sleep in mind, Zzzone offers guests a fresh, sleep-centric take on the traditional backpackers. We have shifted our focus away from offering a place to “party and crash” and more towards choosing locations that offer the perfect, off-site party and active scene, curating a peaceful sleep sanctuary. Spacious rooms that have been designed with functional use in mind. Featuring 2 single beds, quality finishes and hues of blue and grey, guests are invited to retreat to their sleep-inspired chambers. From morning coffees overlooking Walker Bay, to sunset drinks before a night on the town – time spent on our deck is sure to be memorable. Our Chill Zone is the perfect retreat for guests looking for a spot to chill. Kick back and relax on one of our comfortable couches. On the one side, guests will find modern shower cubicles fitted with shower gel as well as well-lit basins and mirrors, and on the other, immaculately clean toilet cubicles and more hand wash basins. By special arrangement, guests wanting to make the most of the bountiful local produce can make use of our well equipped service kitchen. Zzzone guests are offered complimentary uncapped Wi-Fi for the duration of their stay. Fair usage policy applies. 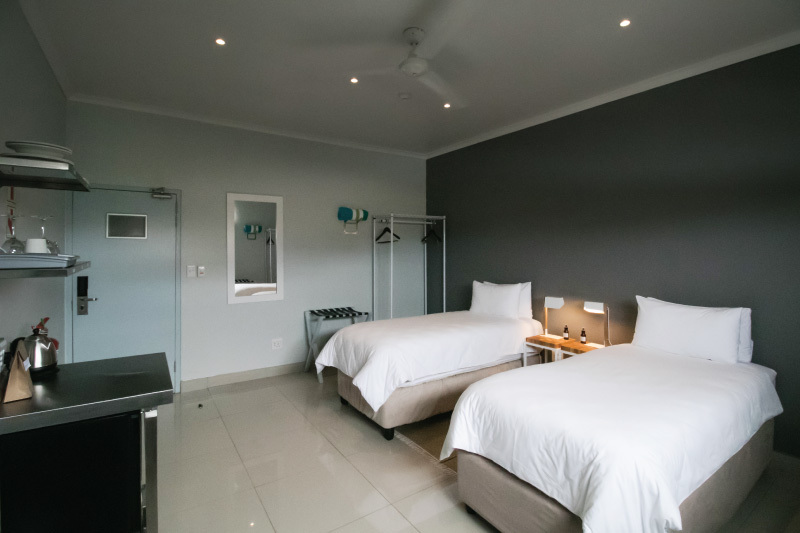 Our onsite housekeepers will ensure that the Chill Zone as well as the shared an private bathroom facilities and other public ares are kept clean and refreshed. Bed linen will be changed after every fourth night of occupation. On arrival, you will be issued a large towel to use during your stay. R250 deposit applies. Zzzone is part of the Village n Life Group who offer all their guests access to the 24 hour Village n Life control room.